Dorm rooms are notoriously tight on space. 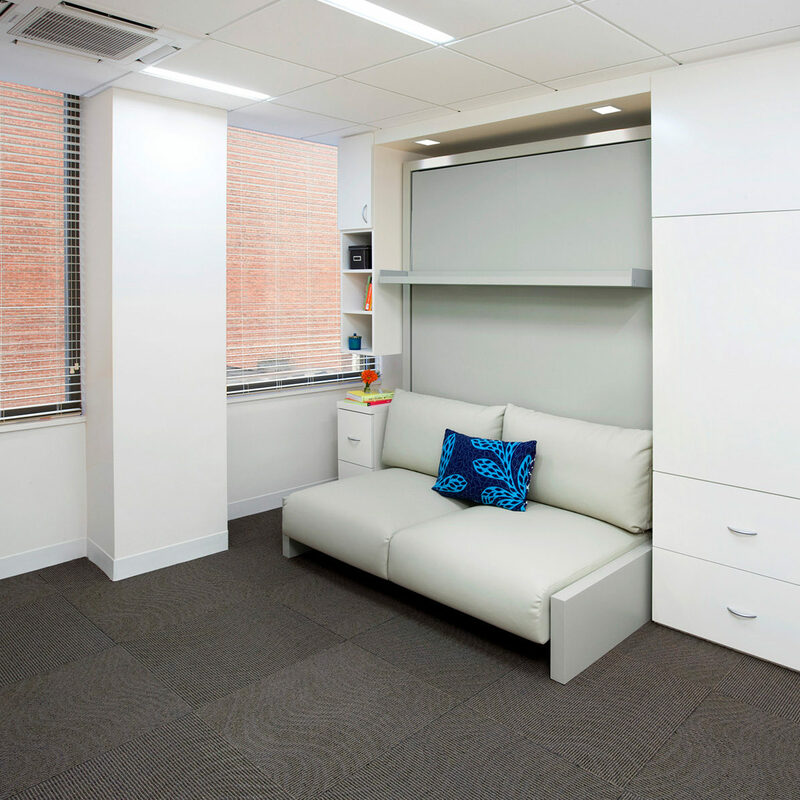 In traditional rooms, squeezing in a desk, drawers, closet space and a twin bed can make the space feel tight. Pepperdine University set out to make some changes in their housing stock. They needed more efficient ways to house their graduate students and professors. What better way to do so then by incorporating multi-functional, space-saving furniture? 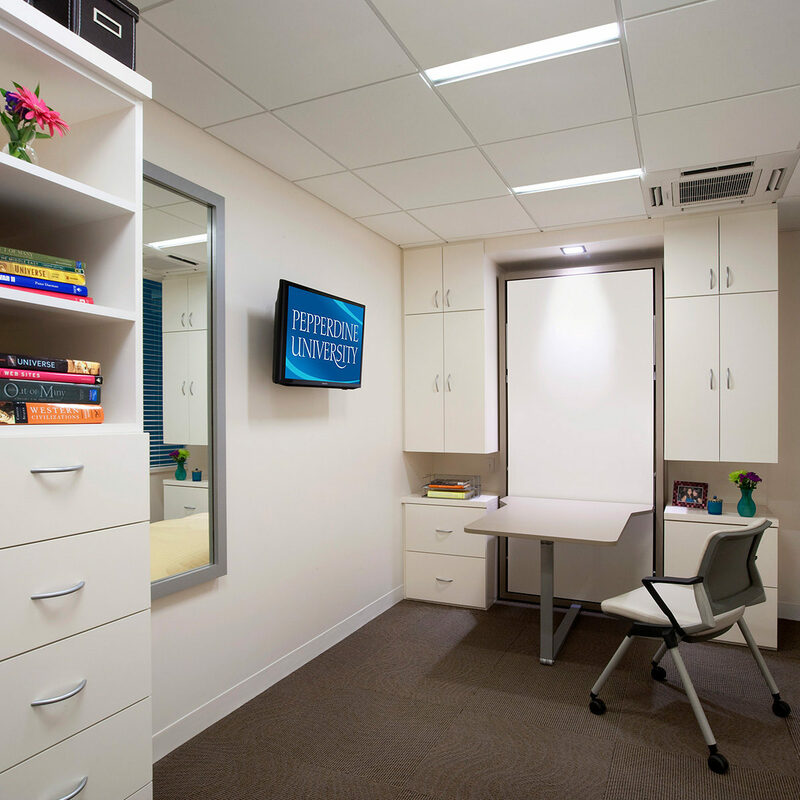 Creating more efficient space was the goal – and the team at Pepperdine came to us having done their research (of course they did — it’s a university!). 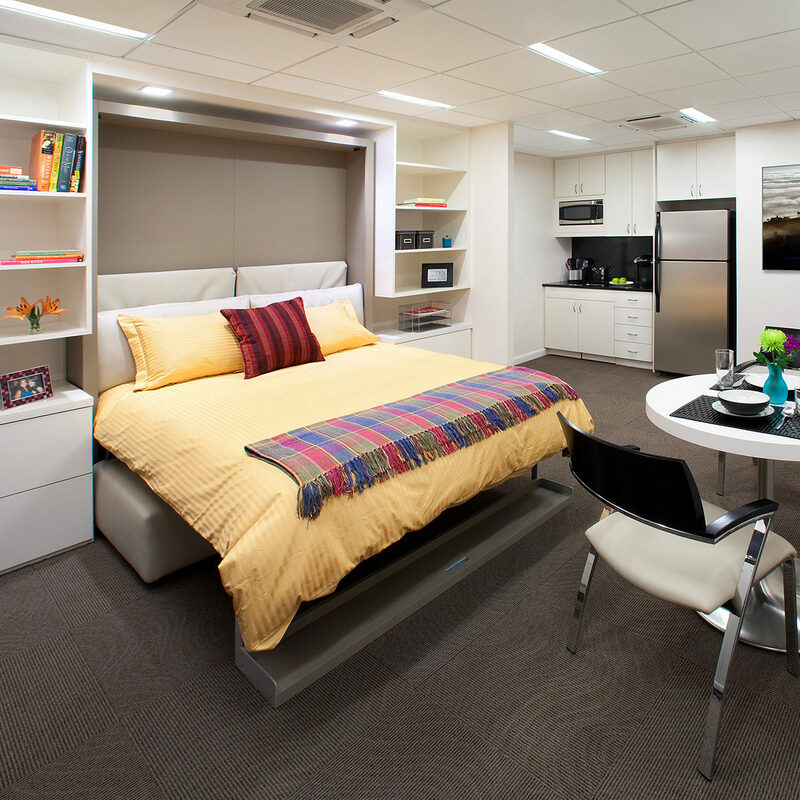 Far removed from the 20th century Murphy Bed, these dorm rooms have been furnished with Clei wall bed systems. In the private rooms, Telemaco Work bed systems were installed to provide ample desk space during the day and a twin bed at night, as well as a Nuovoliola bed system with a sofa to give dwellers a lounge space and queen-size bed in one. The common areas of the residence hall have also been furnished with our Goliath console tables that expand to seat twelve as well as Pocket chairs that fold to save space. 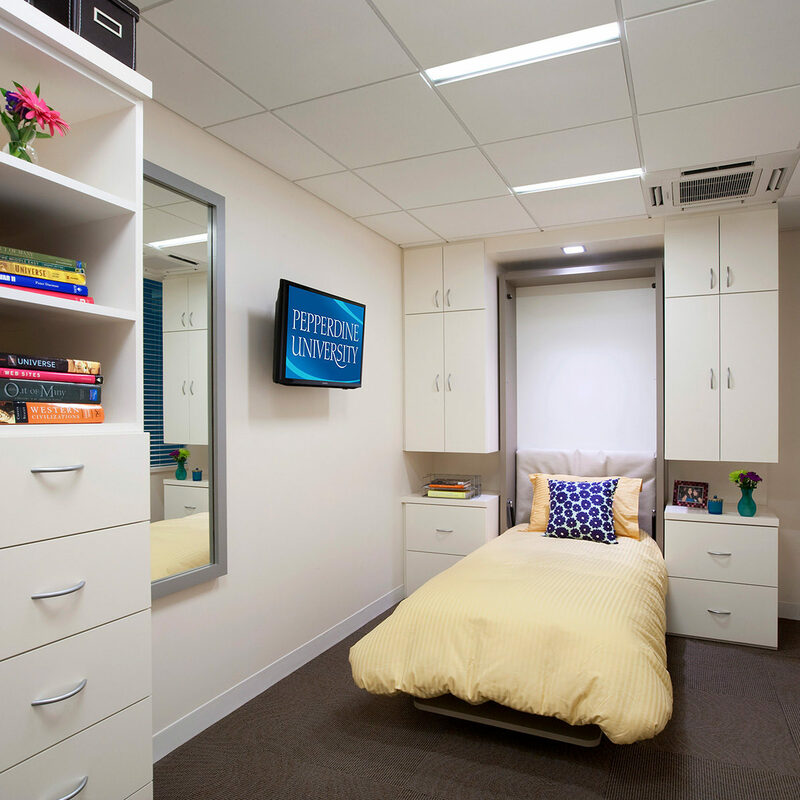 These intelligently designed spaces now give students a comfortable, fully functional space to call home. Space-saving furniture pieces are the new college dorm room essentials. 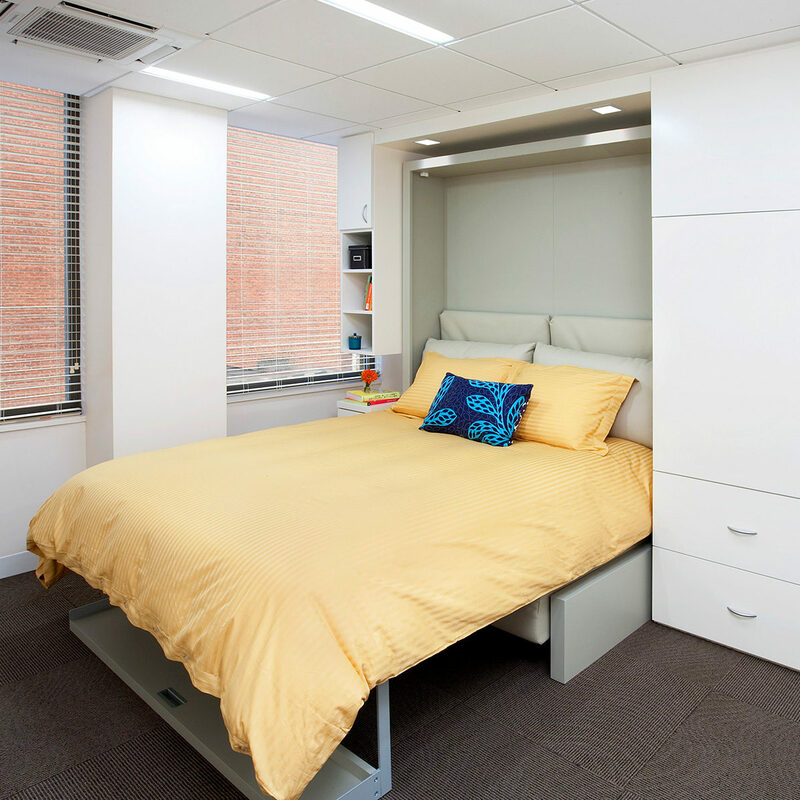 Resource Furniture worked with us in creating student residences at our Washington, D.C. Campus. Great people to work with and the students absolutely love the furnishings which not only made the rooms look like a resort, but created a multi-room apartment feel from what is more akin to a studio. Highly recommend the Company, the people, and the lines of furnishings.